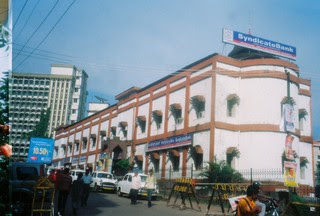 Established in the year 1925, Syndicate Bank had its first office in the coastal region of Karnataka, Udupi. It was then named as 'Canara Industrial & Banking Syndicate Ltd'. The bank was initiated by a trio - Sri Upendra Ananth Pai, a businessman, Sri Vaman Kudva, an engineer and Dr.T M A Pai, a physician, with a capital of Rs. 8000. During that time, the crisis in the handloom industry crippled the local weavers completely. The main aim of Syndicate Bank was to provide financial assistance to them, by mobilizing small savings from the community. Three years later, in 1928, the bank came up with Pigmy Deposit Scheme, in which it collected as little as 2 annas per day, at the doorsteps of the depositors through its agents. The scheme existing till date, earns the bank a sum of Rs. 2 crore daily. In the same year, Syndicate bank opened its first branch at Brahmavar in Dakshina Kannada District. It became a member of the Clearing House for the first time at Bombay, in 1937. Almost a decade later, Syndicate Bank opened 29 branches opened in a single day in rural areas. Its 100th branch opened at Ilkal in Karnataka in 1957. The bank with its socio-economic aim was making extensive growth and advancement and entered Foreign Exchange business by opening Foreign Exchange Department at Bombay. In 1964, the bank changed its name to 'Syndicate Bank Limited' and the head office was also shifted from Udupi to Manipal. The bank had then set up an Economic Research Department, being one of the first few Banks to emphasize on research in Banking, even before nationalization. In 1971, it opened the first specialized branch in Foreign Exchange, in Delhi. Five years later, it opened its first overseas branch opened at London. In 1984, Syndicate Bank opened its 1000th branch in Hauz Khas, Delhi. In the same year, it undertook the management of Musandam Exchange Co. in Muscat. Five years thence, in 1989, Syndicate Bank opened its 1500th branch at Kanakumbi. In 1999, it raised a capital of Rs. 125 Crore from its more than 4 lakh shareholders. 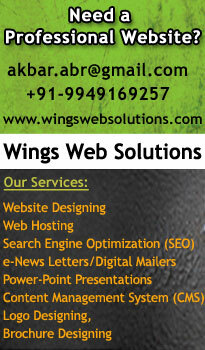 Next year, in 2000, the bank established its first specialized Capital Market Services, at Mumbai. In 2003, Syndicate Bank entered into a MOU with Bajaj Allianz, for distribution of Life Insurance products. In 2004, Syndicate Bank amalgamated with United India Insurance Co. Ltd. for distribution of Non-Life Insurance products. In 2004, Syndicate Bank also started utility bill payment services through Internet banking introduced. In 2005, the bank commenced the online reservation of railway tickets through Indian Railway Catering & Tourism Corporation Ltd for its customers. It was during this time that it entered into a MOU with SFAC for promoting of investments in Agri-business products. The 2000th branch was opened at Tondiarpet, Chennai, in 2006. In the same year, the bank commenced the first BPO outfit of a Nationalized Bank, SyndBank Services Limited. This was a wholly owned subsidiary of Syndicate Bank. With the age of progressive banking, Syndicate Bank has created a name for itself in the last 80 years. Rooted in rural India, the Bank has a clear picture of the grass root realities and a vision of future India. Changing with the changing times, the Bank has well equipped itself with all the facilities of the new age, without, however, altering its distinctive socio-economic and cultural culture. Syndicate Bank's unique principle of mutual development, of both the Bank and the people, has won it a long list of clientele, which includes both the rural and the semi-urban class.